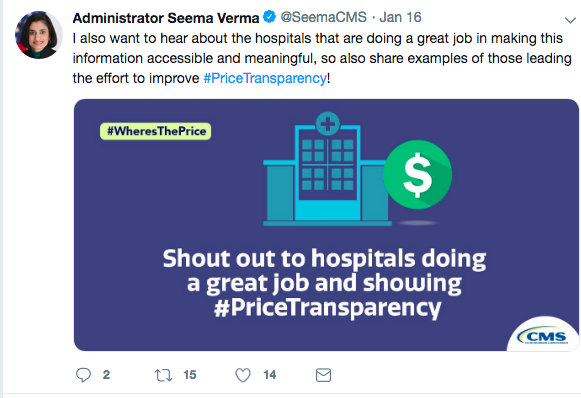 Seema Verma, the head of the Centers for Medicare and Medicaid services, called on Twitter a few days ago to help her enforce a new rule on health price transparency. 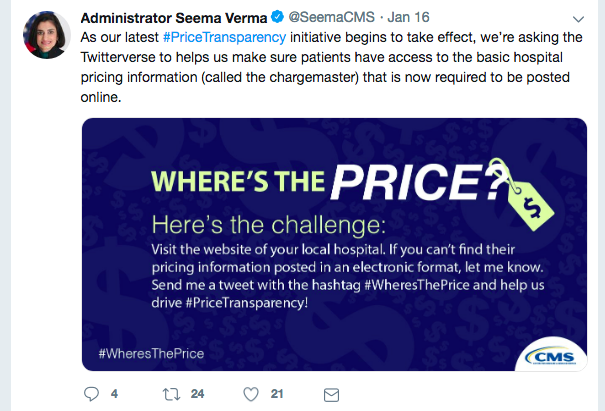 The rule requires hospitals to post their list prices online. 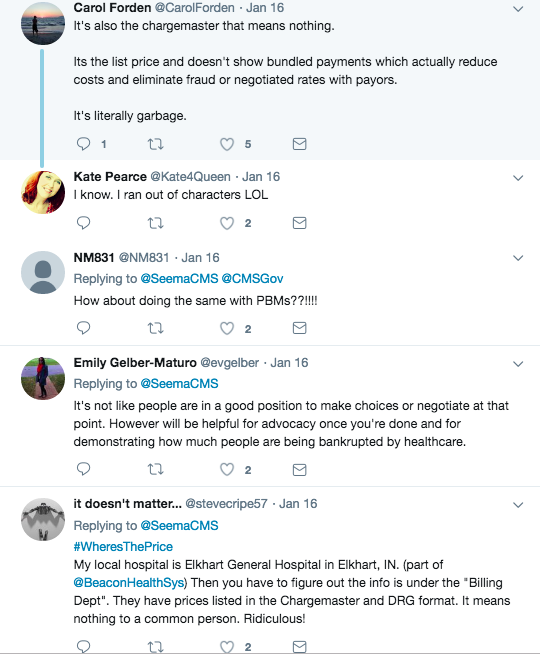 It went into effect on Jan. 1, and there was scant information about how it was to be done and how it would be enforced. Since these are only list prices, and not actual prices, the significance of the move is quite small. 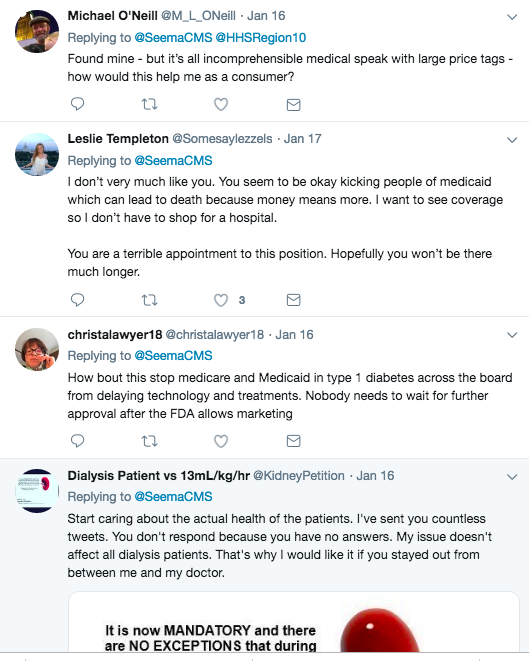 I wrote about it in this blog post and this blog post, expressing skepticism. 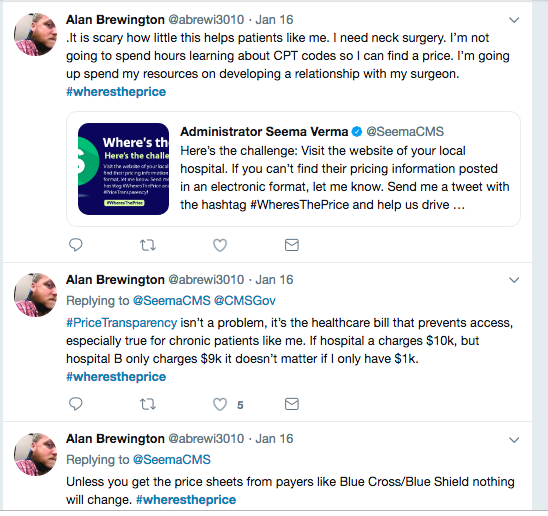 i was quoted on the topic by The New York Times, the Associated Press and others, questioning the value of this policy. You can see some of them on our press page. 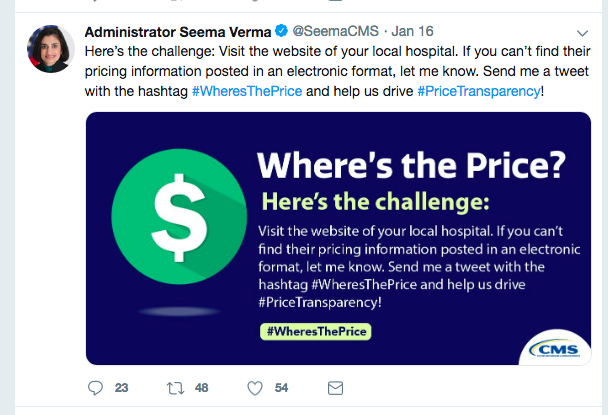 It may be no surprise in this era of government by Twitter that Verma would make such an ask. 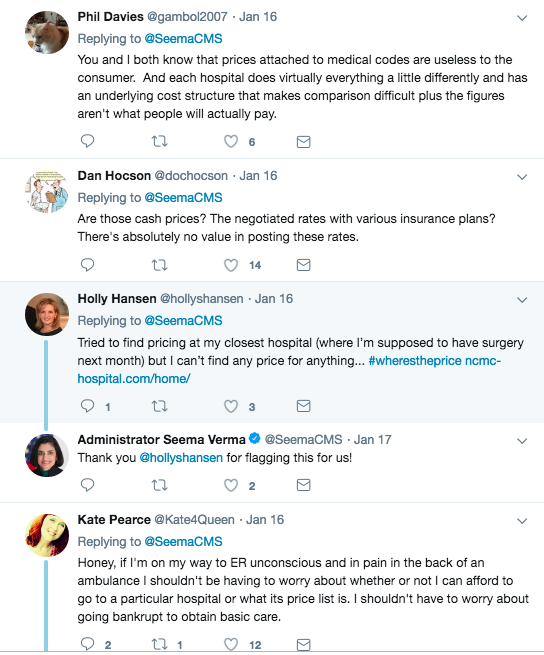 But it does suggest that any enforcement of how hospitals are observing the policy might actually be driven by Twitter. It also came as no particular surprise that the reaction was not especially positive.